Tickets for this performance are currently unavailable through this site. Contact the Celebrity Series box office for further information at (617) 482-6661, Mon-Fri, 10-4. 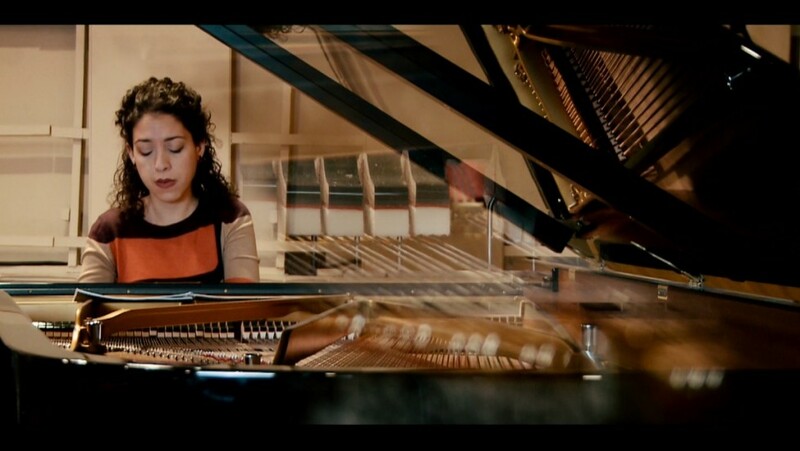 At only 24 years old, Gramophone’s 2017 “Young Artist of the Year” Beatrice Rana is making waves on the international classical music scene, arousing admiration and interest from conductors, critics, and audiences around the world. 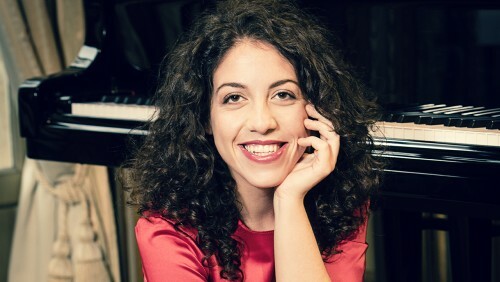 The Italian native, who was championed by no less than pianist Martha Argerich, shot to fame when she claimed the Silver Medal and Audience Award at the 2013 Van Cliburn International Piano Competition. Runtime: Approximately 85 minutes with intermission. The original purpose of the etude, a study-piece or exercise, was to teach skills; in Chopin’s time it became a vehicle to display them. Throughout its history, the etude generally considered a single technical problem of execution and was often based on a single theme. First in the line that led to Chopin were the keyboard exercises or Klavierübung of Bach intended as instructive works for composers as well as players. The Essercizi, thirty sonata-like works by Domenico Scarlatti, published in l738, came next in that progression. By the later 18th century, in Mozart’s time, keyboard playing had become a more sociable, not always professional pursuit, creating a new market of music for amateurs, with an altered structure and focus. When Chopin composed his sets of etudes, he actually initiated a different form: the concert etude, a work where the technical difficulty and the musical content were of similar high standards. The Romantic concert etude is a short work in which, as Charles Rosen said in The Romantic Generation, “the musical interest is derived almost entirely from a single technical problem. A mechanical difficulty directly produces the music, its charm, and its pathos. Beauty and technique are united, but the creative stimulus is the hand, with its arrangement of muscles and tendons, its idiosyncratic shape.” Chopin composed his etudes for public performance; they immediately received admiration from the composers who were his contemporaries: Schumann, Mendelssohn, Liszt, and Berlioz. Listening to these works, one appreciates the distinctive, pure piano sound recognizable as Chopin’s. Chopin wrote twenty-seven Etudes, two big sets of twelve, and three more for a piano instruction book. He composed the first set, Op. 10, between 1829 and 1832; it was published in 1833 with a dedication to Franz Liszt. He completed the second, Op. 25, between 1832 and 1836, and published it in 1837 with a dedication to Liszt’s companion, the Countess Marie d’Agoult. The three Nouvelles Etudes were composed for Moscheles, a famous Czech pianist, around 1840. 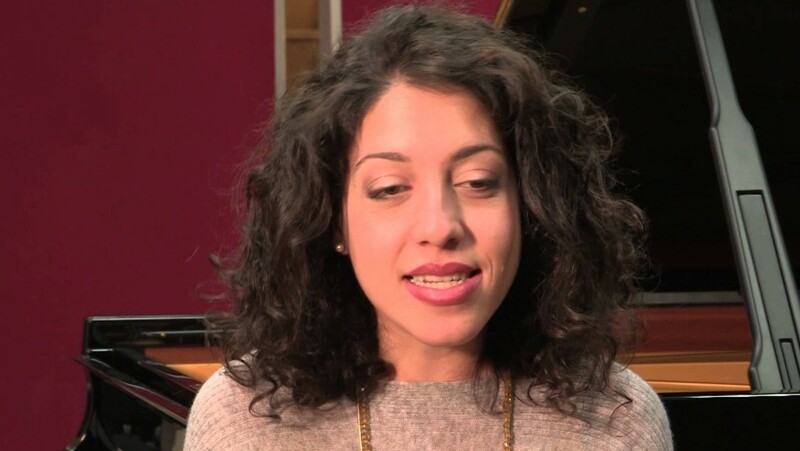 Although these works are valued more for their music than for their contribution to the development of modern piano technique, it is interesting and instructive for the listener to know what problems they present to the player. In performance of the Op. 25 Etudes as a cycle, the listener will note how almost every etude seems to grow directly from the preceding one; it can be assumed that Chopin was consciously creating a unified work out of the series. The etudes make a grandiose impression and are memorable as studies in coloration, in pure piano sound. Each takes one motif and in a completely abstract way develops it thoroughly until the end of the piece. Some of these pieces are so difficult for the performer that Chopin had trouble playing them himself, admitting that Liszt performed them better than he could himself. In recommending them to his students, Chopin told them that they should maintain “a maximum of suppleness…as [there are] as many different sounds as there are fingers.” He warned players that the whole arm should be used to play, not just the fingers and the wrist, and he cautioned them never to practice more than three hours a day because they could injure their hands and muscles. No. 2, in F minor, Presto. Cross rhythms complicate the rendering of a florid melody. No. 3, in F Major, Allegro (leggiero). An ornamented melody is set in a rhythmically complex texture with the hands moving in opposite directions. No. 4, in A minor, Agitato. No. 4 is a syncopated staccato study. The right hand, always playing off the beat, must also delineate legato figures and phrases. No. 5, in E minor, Vivace (scherzando). Evenness of touch is required in differentiating rhythmic and textural variants of the melody. No. 6, in G sharp minor, Allegro. This etude incorporates rapid thirds, a “modern” problem in the piano style of Chopin’s time. No. 7, in C sharp minor, Lento. Sometimes called the ‘Cello Etude,’ this work has a beautiful melody for the left hand, while the right plays a countermelody and accompanying chords. No. 8, in D flat Major, Vivace. This etude is a study in sixths. No. 9, in G flat Major, Allegro assai (leggiero). This etude is known as the ‘Butterfly Etude.’ It features fluttering changes from small intervals, legato, to octaves, staccato. No. 10, in B minor, Allegro con fuoco. Difficult legato octaves are included in this etude. No. 11, in A minor, Lento – Allegro con brio (risoluto). The ‘Winter Wind Etude’ has a powerfully stated theme in the left hand, accompanied by chromatic figuration in the right. No. 12, in C minor, Allegro molto con fuoco. Sometimes called the ‘Ocean Etude,’ this etude includes rushing parallel arpeggios with accented notes that form the melody. In 1904 and 1905, as he was turning thirty, Ravel wrote five piano pieces, each one complete in itself, that he assembled into a collection under the title Miroirs (“Mirrors”). These descriptive pieces do not attempt to present precise musical images. They reflect their subjects, often reality seen at a distance; they also reflect about their subjects: philosophical, impressionistic musings on night, birds, boats, Spain and valleys. At the time, Ravel was very interested in the innovations that artists and writers of his time were making, and perhaps, using them as models, he created a new kind of music for himself. He reflected, “The Miroirs are a collection of pieces for piano that show a rather considerable change in my harmonic evolution, in that they disconcerted those who, up to that point, considered themselves accustomed to my style.” He dedicated each of the pieces in the grouping to one of the friends who had influenced him. The collection consists of five fleeting, dream-like images, each dedicated to one of his circle of literary and musical friends. Oiseaux tristes (‘Sad Birds’), Très lent: “In this work,” Ravel said, “I evoke birds lost in a dark forest during summer’s hottest hours.” Ravel dedicated it to the pianist Ricardo Viñes, who gave the first public performance of Miroirs. Une Barque sur l’océan (“A Boat on the ocean”), Très souple, is a sunlit symphonic poem, the longest and most difficult piece in the set, dedicated to the painter Paul Sordes. Based on a short motivic cell made up of eighth notes in the right hand against swiftly moving arpeggios in the left, the work glistens with many small points of sound through which the lyrical subjects persist. In it, the melodic lines ride over a complicated web of shifting chords, displaying a wide dynamic range and an extreme range of pitch as well. Ravel utilizes the whole keyboard, including the low notes of the piano in an especially soft section. The fourth piece in the set is the brilliant Alborada del gracioso (“The Clown’s morning song”), Assez vif. Historically, the troubadours of the southern province of Provence and an area of northern Spain used a form of poetry, Alborada (or alba), featuring a song about the lover’s departure at early dawn from his love. The word alborada can also mean a morning serenade, and it evolved into a type of dance, popular in Galicia. A gracioso, a clown or jester in Spanish comedy, analogous to the fools in Shakespeare’s plays, often helped musicians in performing the alborada. Ravel’s Alborada del gracioso demonstrates his love for Spain; it is a rhapsodic piece with recitatives, bursts of melody, and echoes of the guitar. 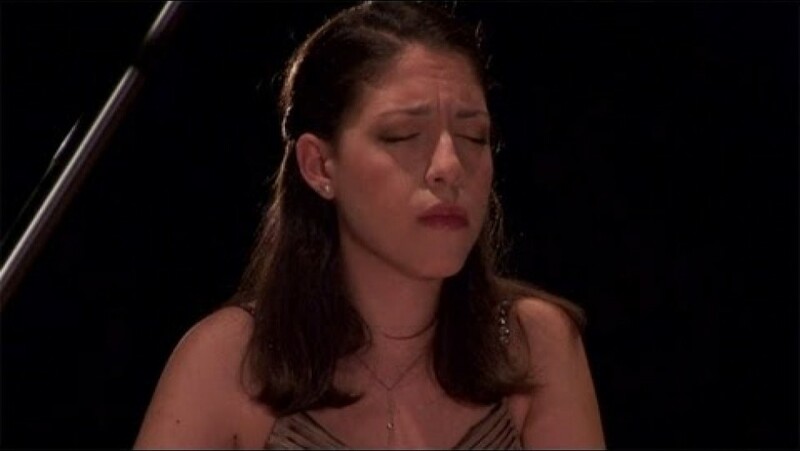 The brilliant and complex Alborada is sometimes described as more orchestral than pianistic. Ravel dedicated it to his friend, M. D. Calvocoressi, a distinguished musical scholar and critic. La Vallée des cloches (“The Valley of the bells”), Très lent. This work, a musical landscape painting, depicts a pastoral vista across which distant bells are heard. Its original inspiration, however, was urban. Ravel told the pianist Robert Casadesus that the idea for it came to him while he listened to the church bells of Paris as they tolled at noon. He dedicated it to the composer Maurice Delage. Igor Stravinsky’s Firebird, which premiered June 25, 1910, is one of the most striking and celebrated orchestral works of the 20th century. This work was commissioned by Sergei Diaghilev, the leader of the Ballet Russes, who sensed in Stravinsky the potential of a vivid imagination and had suggested to him an exotic and familiar Russian fairy tale, with a storyline and choreography by Michel Fokine, as the subject of the new ballet. The resulting work is seen as having been the catalyst that propelled Stravinsky forward to fame. Diaghilev went on to commission two more Stravinsky works: Petrushka and The Rite of Spring. The plot of The Firebird traces Prince Ivan’s pursuit of the brilliant Firebird. After he captures her, he takes pity on her when she pleads for her freedom; she rewards him by giving him one of her feathers as a talisman. Later, in an orchard full of golden apples, he discovers 13 princesses; falling in love with one of them, he follows them to the evil Kaschchei’s castle, where the sorcerer and his monsters capture him. After Ivan gets the Firebird to lull Kaschchei and his court to sleep, she leads him to a casket, which contains an egg holding Kaschchei’s soul. Ivan destroys the egg, thus freeing the princesses. At the end, Ivan and his princess are wed, and he becomes the ruler of a resplendent city. The neglected Italian virtuoso pianist/composer/teacher Guido Agosti’s piano transcription, which was very popular in the 1940s, recreates the final three movements: Danse infernale, Berceuse, and Finale. Inspired by Stravinsky’s orchestration, Agosti’s arrangement, completed in 1928, displays intense virtuosity and color as it captures the visceral energy and raw physicality of the original. Agosti dedicated his extremely difficult score to the memory of his teacher, the composer Busoni.